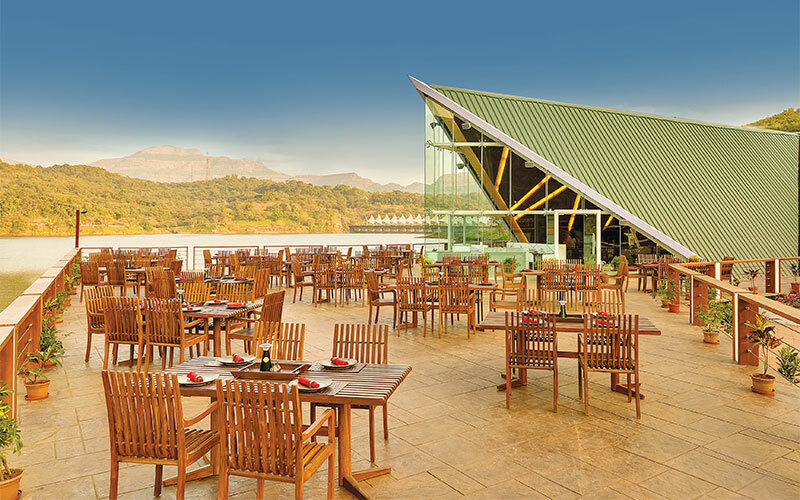 Outdoor setting of this restaurant with its wooden theme overlooking breath-taking scenery makes for a romantic mood. All Weather chairs, tables and roof all combine to give this a spectacular feel. 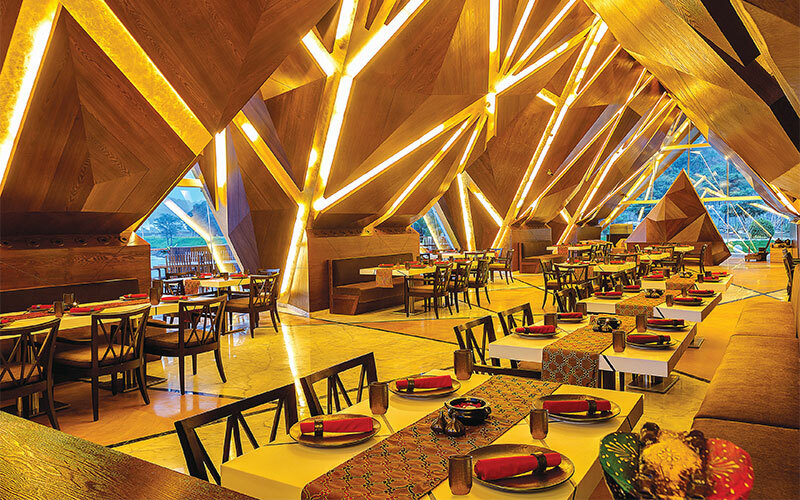 Geometric patterns in gold leafing fitted with LED lighting and extensive use of wood make this a dramatic setting.